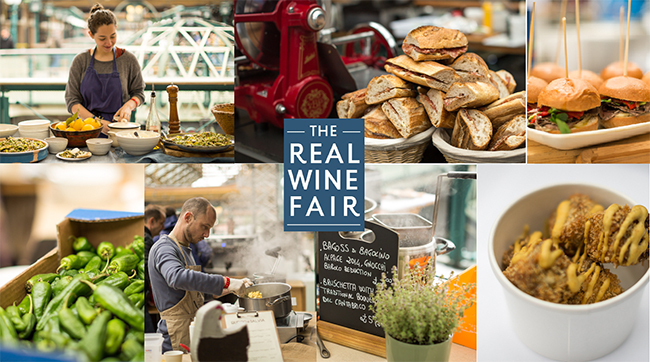 The Real Wine Fair is a tasting of organic, biodynamic & natural wines! 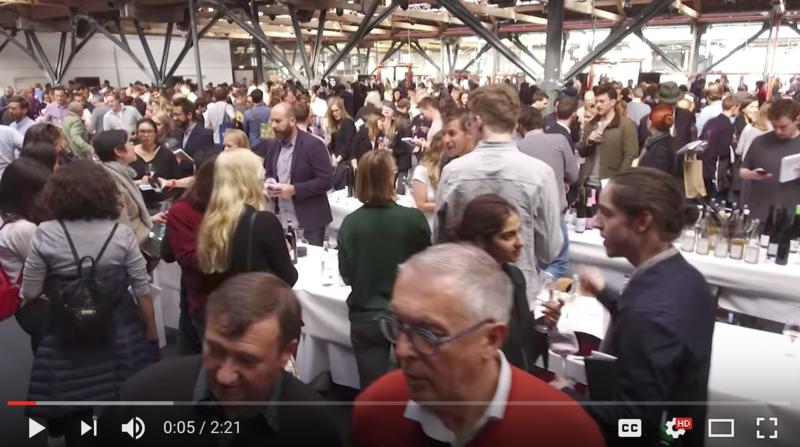 The Real Wine Fair 2017 Highlights. Video by Bottled Films. 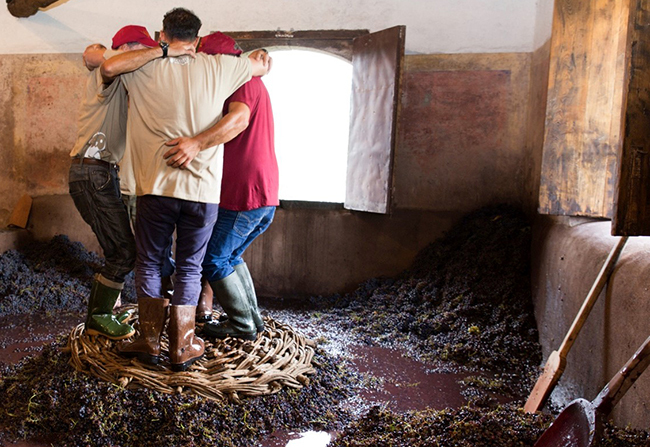 The Real Wine Fair is always a gigantic collaborative effort. As well as a big heart, it requires a big head, combining the ability to look at an event in the round, yet focusing on specifics, in order to deliver a top-quality experience for all. This was the most seamless wine fair ever in terms of sheer logistical organisation, which requires huge attention to detail, anticipation of all the variables and the ability to get everyone working collectively towards the same goal. We began advertising the fair in earnest in January, trickling out weekly press releases and then built through direct-mailing, newsletters and an epic quantity of social media to connect with customers and consumers all over the world. During the fair and in the immediate aftermath growers and visitors came up to me and said (without prompting!) that this was the best event in terms of organisation, quality and sheer energy that they had ever attended. There was certainly a lot of love in the room. Tastings are often impersonal; growers are often barely animated pouring machines, but here there was exchange and real focus. One of the features of the fair was the pop up shop which once again took thousands of pounds. It seems obvious to buy after you try, whilst the wine is still fresh on your tongue. It is important that big events are not empty fanfares, but also serve a practical purpose. To the growers, the plaudits. We appreciate that they give their time to come over and pour their wines. We never take it for granted, so it was particularly special to see such a range of vignerons – and from so many different countries. Although it is difficult to quantify these things the response from visitors this year – trade and consumers – has been the best ever. The wines were beautiful, and it helps that it is because they were presented with a smile and a great deal of enthusiasm and patient explanation. The energy in the rooms was palpable; the sense of enjoyment and pleasure was obvious. I love that wine can bring so many different people together. The Real Wine Fair has thus become “the friendly fair”, and the friendships forged in London will last forever. For me that is a cause for pride. The fair, of course, is more than two days in May – it is the culmination of six month’s solid work. It is a massive collective effort and generates a feel-good effect that lasts a very long time. We had visitors from all over the world again. We’ve generated an avalanche of positive social media. We forged closer relationships with other wine suppliers, with food suppliers and restaurants and most importantly, with our growers. The Real Wine Month involved hundreds of establishments throughout the UK and Ireland, pouring, promoting and talking about artisan wines. 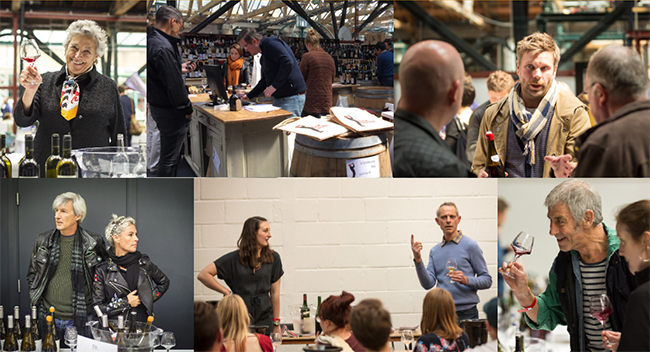 There were 50 + ancillary Real Wine events from the end of April to the end of May, more and more getting involved in a variety of different ways. 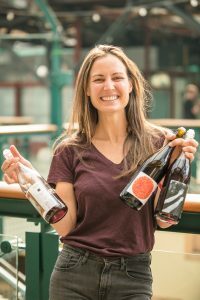 This year we talked about diversity as one of the main ideas behind the Real Wine Fair. There are never overarching themes for such events, but there are discernible patterns. This notion is reflected in so many wines on show – whether in the culture of wine region or country, in the soils, in the weather patterns throughout the year, in the farming choices, in the nature of the vineyards, in the variability of the yeast populations from year to year, in the choices in the winery, in the process of the fermentation – and in the personality of the vigneron who conducts or brings together the various components together in a unique fashion, who assists to a greater or lesser extent in the nature of the transformations. Those who come to the fair expecting wines of a very particular style made to a particular agenda might be surprised. What links the wines is often intangible rather than methodical: brightness, lightness (of touch), energy pulsing through the wine itself. The frame of the wines may be completely different, however. Here a juicy glouglou, there something more mineral, this crisp and aerial, that intense, aromatic and full of extract. We may say that each wine is but one way of interpreting all the many elements that combine in what we may refer to as “terroir”. Claus Preisinger on diversity. Video by Bottled Films. With more growers from more countries and regions involved than ever it was a fine opportunity to make numerous comparisons and contrasts. 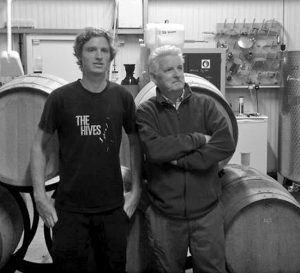 The wines, by their nature, provoke thought and raise issues – such as what is faulty versus what is flawed, what is terroir, what is expression, what is truth, what is extraction, what is wild, what is vineyard, and what, in the overall winemaking equation, is the role of the man or woman. Equally, it was also an opportunity to witness a rainbow of tasting styles: from the analytics of the academic, through the commercial focus of sommeliers and retailers, to the receptive and open-hearted engagement of adventurers and wine novices. Within diversity there is focus. The wines are hand-crafted from the work that brings the vineyard to life and maximises the potential of the vines, to the winemaking which guides the grapes over many months to the bottle with the minimum of additions. The transformations are physical and micro-biological rather than chemical; the primary ingredients are the signatures of the wines. Jo Landron on diversity. Video by Bottled Films. The world of wine is so diverse, and there is so much to learn. The producers bring so much of themselves to the process, but they themselves are learning and evolving. The beauty of the fair is that it shows wines and people in a state of flux. There is room to move and change. There is movement. There is energy.